The best way to maintain wiper blades is to regularly check them for any wear or build-up of dirt or grime. The blades should ideally be cleaned once a month, or at least at the start of every season change (Spring, Summer, Autumn and Winter). 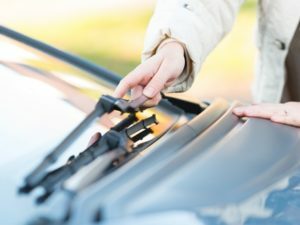 To clean them, the wiper arm should be lifted up and a clean cloth ran along the rubber blade to remove any excess dirt. Of course, a clean windscreen will also protect the wipers from wearing out too quickly. A handy hint is that white vinegar can be used to protect the rubber from wear. Simply dip a clean cloth in white vinegar and wipe along the rubber blades. Mixed with water, white vinegar can also be used to clean the windscreen or other windows on the vehicle. Choosing the correct wiper blades is essential for ensuring they last as long as possible, so the driver should be careful to ensure they choose the correct wipers for their specific model. 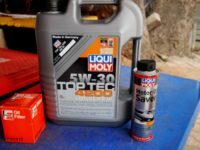 With the right maintenance and depending on the climate and amount of use, wiper blades should last quite a while but it is advised that they are changed annually to ensure the windscreen is kept clean and clear for optimal driving conditions.